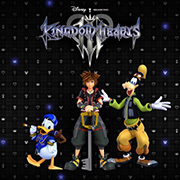 Kingdom Hearts III is the 2nd sequel of Square Enix reputable franchise Kingdom Hearts, come back to Playstation after 14 years hiatus along with new platform Xbox One supported on Jan 25, 2019. Been powered with Unreal Engine 4, Kingdom Hearts III has top-flight cartoon graphics and fluent frame. This is a hack and slash combat video game, different from other online games, Square Enix made the game story oriented, every quests and plots are borrowed from Disney. The game doesn't published yet, but if you want to play Kingdom Hearts 3 you can go to 5mmo.com to pre-order it with cheaper price than PS4 or Xbox One official store. Select your protagonist from Sora, Riku, Kairi, Donald, Goofy, King Mickey, Ansem the Wise, Roxas, Namine, and Aqua to aganist antagonists Master Xehanort, Vanitas, Unversed etc. in the Disney world. If you want to travel in Kingdom Hearts world, Dive to the Heart, Hollow Bastion, End of the World, 100 Acre Wood, Realm of Darkness, Destiny Islands, and Traverse Town. 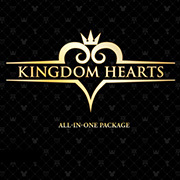 Provide your PSN or Xbox Live to us, we will help you to buy Kingdom Hearts All-In-One Package with cheap price within 15mins. 5mmo.com Cheap Kingdom Hearts III for both platforms are on Sale for PS4 & Xbox One users with 100% safey and Cheapest Price. Experience Disney story by your Sora and his friends Donald Duck, Goofy, King Mickey embark on an arcane adventure. Buy now to claim Impossible Odds Theme and Midnight Blue Keyblade.